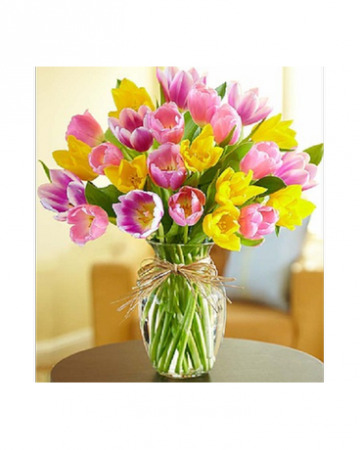 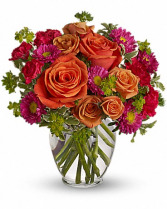 Mother's Day Flowers in Seminole & Largo, FL | ROSE GARDEN FLOWERS & GIFTS INC.
30 Cheerful tulips are hand designed in a clear vase for a bright and springy bouquet. 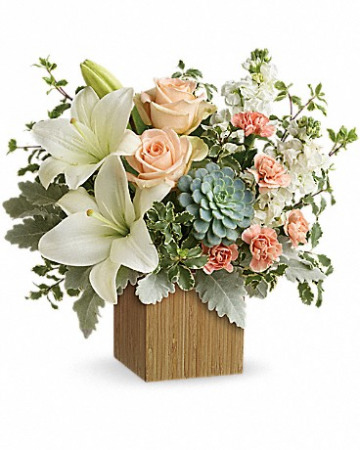 It’s a timeless favorite for big occasions and just because moments. 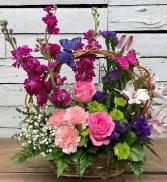 Colors, varieties and container may vary due to local availability. 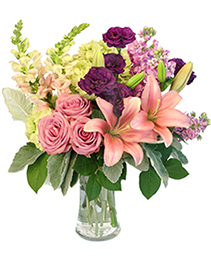 Spring is a time to enjoy all the beauty around you—and our gorgeous bouquet is no exception! 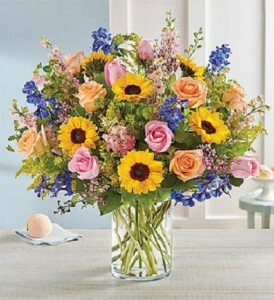 Featuring a French country garden-style mix of peach roses, mini sunflowers, pink larkspur, blue delphinium, solidago and purple waxflower; accented with bupleurum and salal. 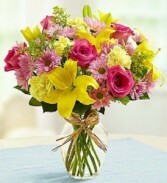 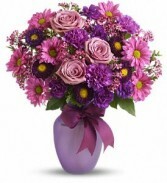 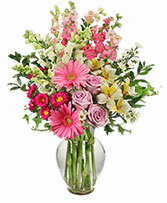 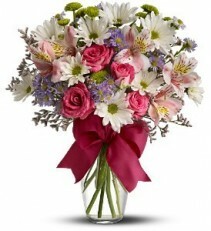 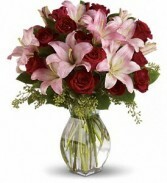 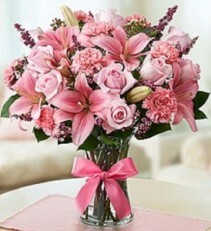 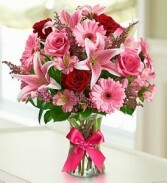 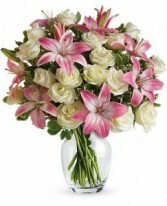 Filled with a gorgeous mix of pink roses Asiatic lilies, carnations, waxflower and heather, accented with salal. 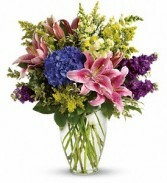 This hand-designed bouquet is presented in a classic glass vase to let the beauty of each bloom shine through. 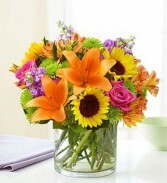 Smiles and sunshine have arrived. 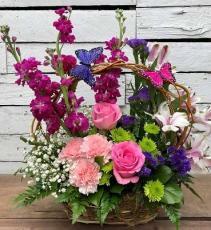 Beautiful, blooming flowers artfully arranged in a lovely gift basket. 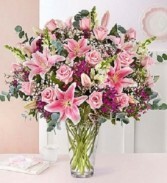 Filled with fresh lilies, daisy poms, carnations and more, and decorated with playful butterflies. A unique gift to brighten their day!